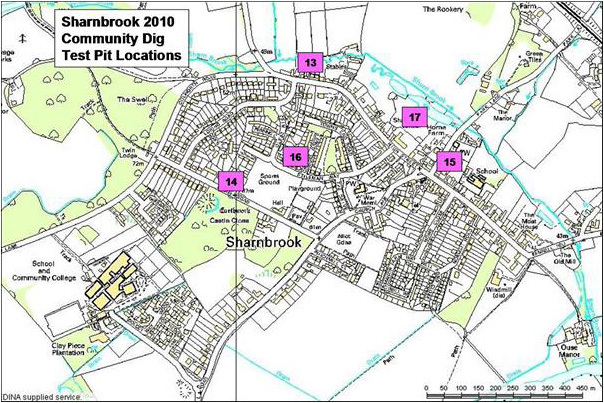 Sharnbrook Local History Group was founded in 2006 as part of the Learning for Pleasure Initiative within the village. The Group normally meets fortnightly on Wednesday afternoons during the Autumn and Spring Terms at the Methodist Church in Park Lane, Sharnbrook. The Summer term is used for continuing the work on specific research projects. The active programme will normally consist of a series of talks, regular visits to places of local interest and tackling the research projects where data is collected and analysed, results are published and historical records/photographs are archived. We were the first site in Bedfordshire to be included in the Higher Education Field Academy (HEFA) initiative run by Access Cambridge Archaeology at the University of Cambridge. Other projects in the parish include collaboration with Colworth Archaeological Society.